Picking a dog breed when you have a kid at home should be done with care and consideration. 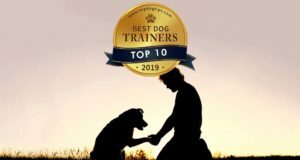 There are several best medium dogs best for kids, and even more best small dogs for kids which new owners can choose from. In the below list, our dog breed experts have picked 35 best dog breeds for kids. The list includes about half best medium dogs for kids and another half of small dogs for kids. All these breeds have been shown to behave very well around small children, and are perfect family dogs. Teaching kids to behave around dogs and vice versa is important for everybody's safety. Well known Labrador Retrievers are one of the most popular dog breeds in the world, and are considered best small-medium sized dogs for kids, and simply amazing family pets. Labs, as they are also known, are kind animals who love to play, know what strong patience is, and they love people and especially kids. They are very protective of their owners and especially children with whom they spend time at home, so they will be your reliable friend and guard. A hunting dog who turned out to be an amazing family pet! Beagles are best small dogs for kids because of their complete domestication and desire to stay at home with the family. They prefer being active at home, so energetic kids with definitely have a blast with this dog breed. Also, Beagles are sturdy just as Bulldogs and they can take and even tolerate most of the damage done by kids while playing; they dog get tired too quickly. It's a very smart and friendly breed that will be an amazing home pet. 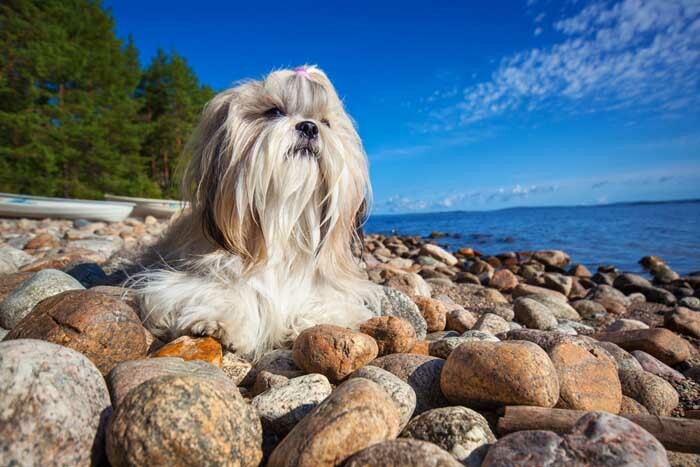 Exotically named Shih Tzu dogs are not only one of the best small dogs for kids but they're also one of the cutest breeds. Shiz Tzus are very small, friendly, playful and sweet dogs that are very loyal to those with whom they spend a lot of time together. So if your kids love playing with pets, this dog breed will accompany them in their playful endeavors and join in whenever possible. Another one of the hypoallergenic dogs, Maltese are also great with children and despite their long coat, they shed very little. Aside from being in love with kids, this dog breed is absolutely great with other people, animals, pets and even cats. This dog will require a lot of attention and some grooming needs. They don't like being alone and constantly seek to play and communicate. Pugs are wonderful with kids, mostly because every child adores this breed. This breed is loving, friendly and curious of children; they love spending time with kids and giving into their chaotic games. Pugs are known to be very accepting and generally nice dogs that will never be mean to anybody, which makes them a perfect fit for families with small children. 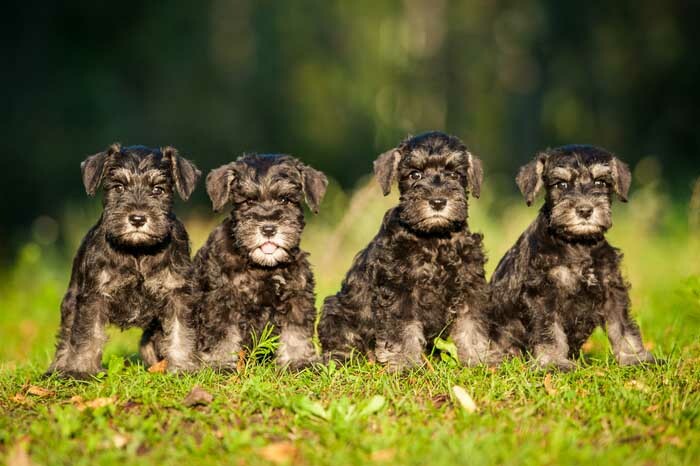 Miniature Schnauzer is not only the most popular of the Schnauzer dog family, but one of the most sought after dog breeds, which makes them expensive. However, this dog is not only small and cute, but it's one of the best dogs for kids and families in general. While they can sometimes have an attitude, for the most part this dog is very intelligent, cheerful and love playing around. Incredibly cute, small, popular toy dog breed, Yorkshire Terrier is great for those kids who love to move a lot, be adventurous and explore. This dog is very active and constantly interested in trying out new things, and when paired with the right type of children, all of them will have a blast together. They are affectionate of people but require a lot of attention and can get loud. RELATED: Best Dog Food for Yorkies – How & What to Feed Yorkshire Terriers? Another one of the most beautiful dog breeds, Shetland Shepdog is great for kids with energetic personality. 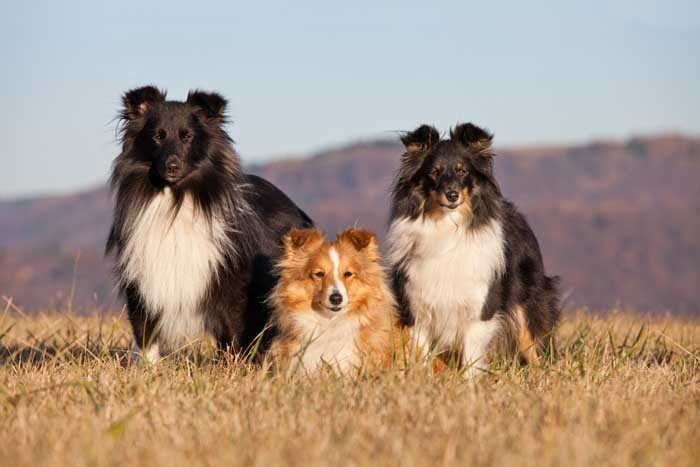 Shelties love to constantly move and jump around, and they will ensure that your child doesn't stay still most of the time while also having a amazing playful time. However, this is also one of those breeds that require a lot of regular grooming and special attention. 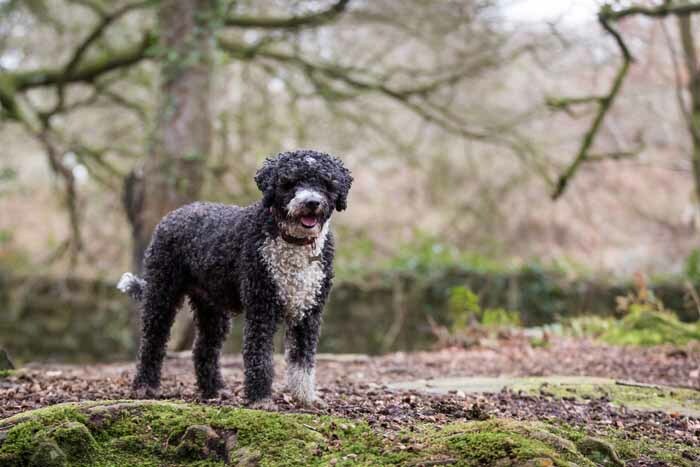 Just as their bigger family members, Miniature Poodles are also very intelligent dogs that will get along well with kids as well as other dogs and cats. This is a hypoallergenic dog breed which is perfect for children with allergies, they shed very little, are easy to train and are a true loyal companion. On the other hand, Miniature Poodles can be caprice and do require regular grooming. Very famous Standard Poodles are considered as one best small dogs for kids because of their calmer, more gentle nature. They love people and especially children, and are generally very smart dogs. Furthermore, they're also one of the best hypoallergenic dogs, so if your kids have any issues with allergies, this can be a potential winner on your list. Originally bred for hunting rabbits and other game, this dog has become a loyal family pet and is one of the best small dogs for kids. 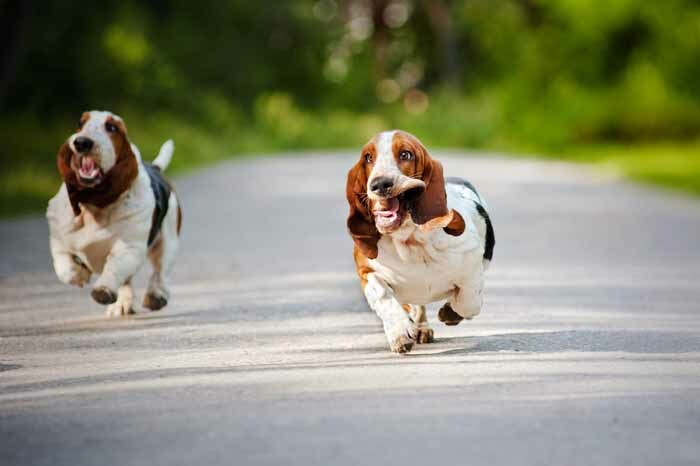 Basset Hounds are very laid-back, oftentimes even lazy, and sturdy dogs that can take most punishment from kids with great patience. If living in the apartment, this dog breed can get very loud, however, and it's difficult to fight with their stubbornness. English Setters, who are also known as Moderate Setters, are a very easygoing by nature dog breed of medium size. They are affectionate of people, genuinely love kids and are considered easily one of the best small dogs for kids (or rather, small-medium sized). English Setter will be a loyal companion interested in active lifestyle, hunting and simply being a great friend to all family members. A not very popular mostly because of the complicated name, Entlebucher Montain Dog is a Swiss herding dog. This is a loud breed that takes their territory seriously and will warn the owner of any strangers or guests, and protect you and your kids from anything that looks dangerous to them. They love to socialize and caring for small children, but sometimes might not be gentle enough. A mix between already mentioned Pug and Beagle, Puggle is a cute dog breed that will get along well with kids and any other family members. This is a now popular dog breed mostly due to their friendly nature, loving personality and adorable looks. Puggles are always great family companions and have no problems living alongside other pets; they're also welcoming of new people. Another one of the small-medium sized dog rather than small, a dog with an awesome name like Berger Picard can only be a great family member. This is an intelligent and very lively dog breed that can be a patient, understand and resilient playmate for most children. Picards can be easily trained but do have a tendency to be stubborn. Arguably one of the more rare dog breeds, American Water Spaniel is small-medium sized but still great around children. 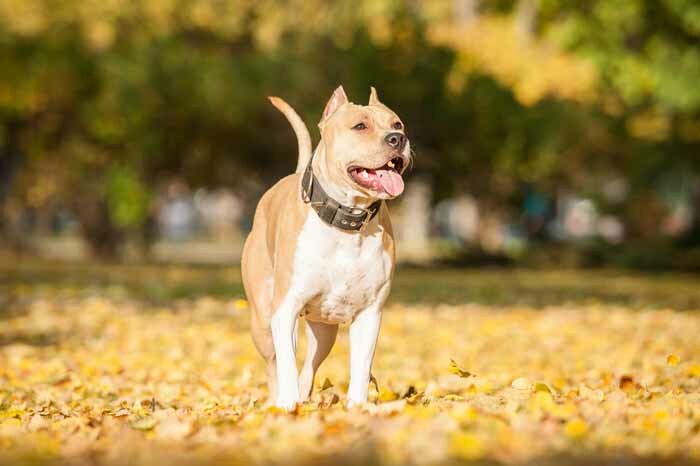 This dog breed is mostly used as a working canine for hunting, and they're always full of life, energy and enthusiasm, which is exactly the reason why AWS are perfect for kids. They do require a lot of exercise as well as mental stimulation. Not really a small dog breed but rather a solid medium-sized canine, Appenzeller Sennenhund might have a very complicated name but this dog breed is undoubtedly a great companion to children who are a little older. They're very friendly, protective but tend to “herd” your kids by cautiously nipping at the heels if they need a little guidance. Here's a perfect dog for kids who love to play, run, move and be constantly active. Pyrenean Shepherd are one of the best dogs for agility competitions because of their enthusiastic nature, which also works well for them when playing with hyperactive kids. This herding dog is loyal to their family members, but can sometimes get a little over-protective. Golden Retriever are slightly smaller than Labrador Retrievers, but are just as kind, very confident and clever best small-medium dogs for kids that will be loyal to your family and get along very well with everybody in the household. Golden Retrievers are never aggressive without a reason (only to protect those whom they love), they're not timid either, and their best quality is the fact that they are extremely patient, and that's a quality that is required when dealing with kids. Everybody praises English Bulldogs (breed profile) as best small dogs for kids because of their “build” – apparently, dog trainers are confident that most Bulldogs will be able to take on any type of hyperactive children because of how sturdy they are. It's true that this dog breed isn't very active and is usually lazy, similar to French Bulldogs, but that doesn't make them any less cute, fun or interesting to play around with, especially for kids who love to climb dogs and do all sorts of nasty things to them on occasion. Bulldogs can take it, and they love children. No list of best small dogs for kids can go without the famous Lassie. Collies are very kind dogs that love children and know how to be patient with them, taking in whatever comes. And even though their long, luxurious coat requires constant high maintenance, it's a small price to pay in exchange for how much kids love their looks and attitude. 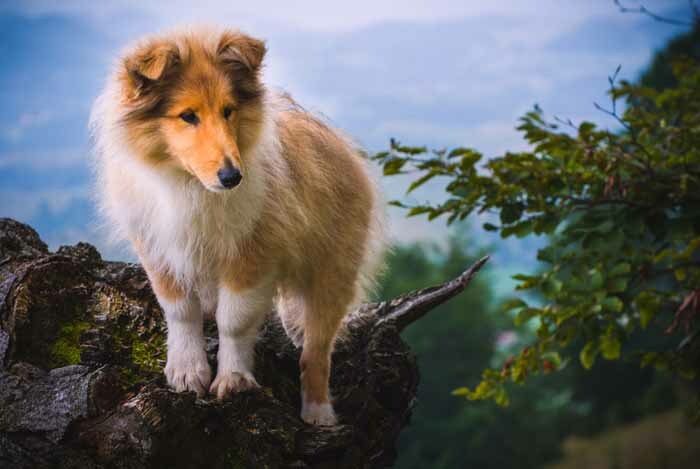 The reason Collie breed is considered as one of the best small dogs for kids is because of their 100% unconditional loyalty to humans – they love their owners, and will do everything to make them happy. A slightly more rare dog breed with a complicated name, Vizslas come from middle-European countries where they used to be hunting dogs. 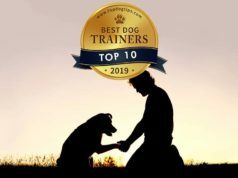 Today, the times have changed and they have gained the title of one of the best small dogs for kids and families that are very gentle and loyal to their owners. This dog breed knows how to be quiet when necessary, be patient with those “small humans” and be affectionate. Every kid will love spending time with this cute, family-friendly, energetic dog. Rarely mentioned on most lists of best small dogs for kids, Irish Setters are well known for their gorgeous ginger/red/maroon/dark brown color type coats. This dog breed is very playful and energetic, which makes them one of the best small dogs for kids or family in general. Irish Setters love humans and like spending time around people, playing and having fun with children. This canine breed, however, will need a lot of exercise, so it's better if the kids themselves are active and will provide the dog with that. Considered as one of the more popular herding dogs, Pembroke Welsh Corgis are perfect pets for families with kids. They're very bold, friendly, sturdy and strong dogs that can handle any rambunctious kids with patience. Corgis also need a lot of exercise, so if you have very active kids, both of them will compliment each other. Newfoundland dog breed has gained a name for itself by being a rescue dog, and it appears that helping humans is simply in their blood. This is one of the best small dogs for kids because of it's patient and kind nature; they even gained a nickname among most dog owners and pet lovers – Nature's Babysitter. This huge, furry animal loves children very much and will be extremely protective of them. In fact, you can let this dog protect your kids anywhere outside and leave: be sure, they will not let anyone come even close to your children no matter what. The famously scary looking dog breed is actually a great family pet, believe it or not. They are one of the best small dogs for kids because of their sense of camaraderie and companionship, which is what they were bred for before. The bad name this dog breed has is completely undeserved. Bull Terriers are friendly with their family and love kids as well as adults. They are also protective of their owners and will make sure that everybody around knows that these kids are under their protection. A true small breed that has also gained a title of one of the cutest dog breeds, Bichon Frise are easily the best small dogs for kids, whom they seem to love dearly. They are very active, happy-go-lucky, and enthusiastic dogs who love spending time with people and especially little humans known as children. They will actively play around with kids and have fun at the same time. In addition to that, they are simply irresistible to anybody who meets them and are very difficult not to love. Kids adore this dog breed! This more of a mid-sized but still considered best small dogs for kids breed is athletic and active. They will exhaust your kids before the children exhaust the dog. They are great guardians of their owners and family, and will make sure to protect the children from any danger at all times. American Boxers, which is not the same as the Standard Boxer, love affection from humans and will serve loyally to gain it. Make sure to take them out for regular exercise on a daily basis, however, as they require a lot of energy expenditure. Exotic looking Pharaoh Hound is a very gentle, loving and affectionate dog. They're also known to be very aloof and clownish on occasions, but always get along very well with any family member, other pets and especially small children. This is not a small dog breed, but definitely a great option if you're looking to adopt an extremely loving dog who will adore your children forever. Another dog breed that is specifically American, these canines are one of the best small dogs for kids. Even though they are known to be fighting dogs, if raised and treated appropriately in the family, this breed becomes an incredible family friend who loves kids. American Pit Bull Terrier will be a good guardian of your children, but they require daily exercise and attention. 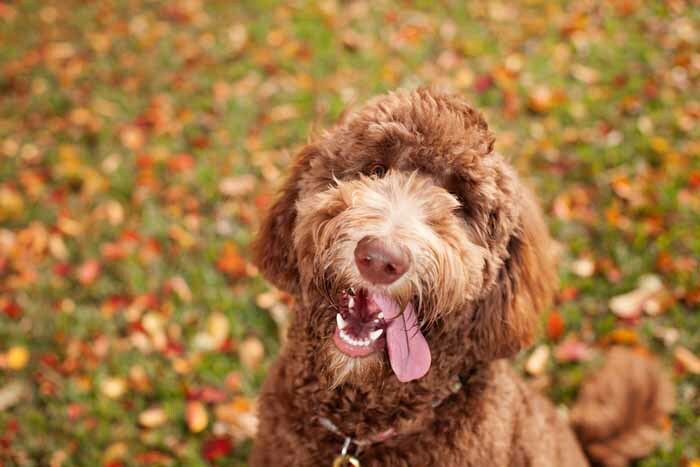 Cute looking Labradoodles are the best small dogs for kids not only because of their wise, fatherly look but because they are very easy to train and they know how to get along well with children. They are known for their loyalty and eager to please nature, which is vital when considering the best family dog as a pet. However, these dogs aren't best for first-time dog owners. This dog breed is absolutely perfect for children because of their size and nature. Boston Terriers have long been considered as one of the best small dogs for kids and have even earned themselves a cool nickname – American Gentleman. This is a very gentle and patient animal who will be extremely easy to house and crate train and will quickly fall in love with children. More importantly, no child will be able to resist the charm of a cute Boston Terrier. Royally titled breed is yet another one of the best small dogs for kids and their parents. CKCS are amazing family pets who are very cute, intelligent, and love spending time with humans. 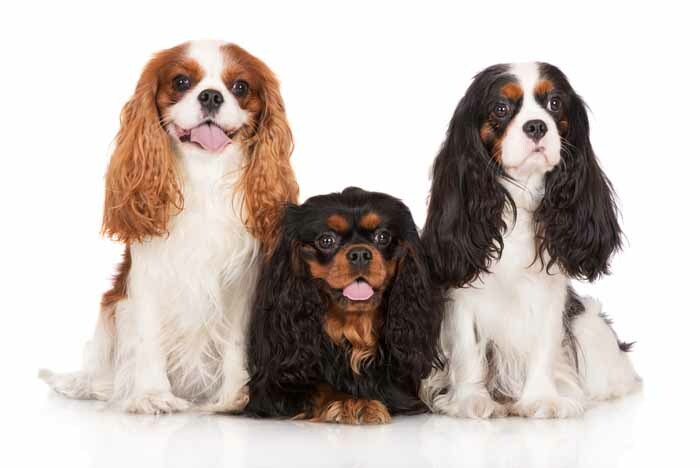 On top of that, Cavalier King Charles Spaniels are an affectionate dog breed that loves to run around and expend their energy, so they will be perfect for kids who love to play with dogs. This canine breed is smart as well and will quickly learn what exactly do you expect from them, and will make sure to accommodate your needs. Lastly on the Top Dog Tips list of best small dogs for kids we have the cute Havanese – a more rare breed that is impossible to resist. They are becoming more popular every year, and most families love these dogs due to their accepting nature, patience and love of children. They might not be the strongest protector, but Havanese is a very smart dog that will give plenty of love to your family and your kids. And no human will dislike the magnificent wavy coat of the Havanese dog breed. Last but definitely not least is an Small Munsterlander Pointer. 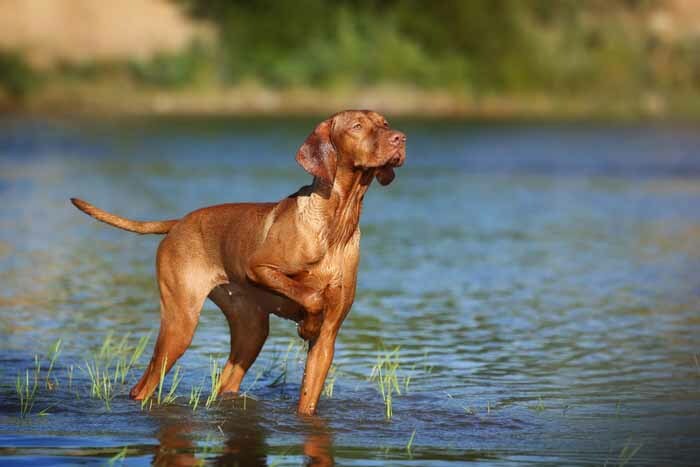 Generally used in sports and hunting, this dog breed is very confident and patient. It's one of the best small-medium sized dogs for kids due to their calm temper, and they also get along with everybody else around the house. SMPs used to be only popular in Europe, but their presence is now increasing in the US too. Would you plesed tell me why the Labradoodle is not so goo for the first tiem dog owner? We had Spitz dogs growing up and both male and female and they were great dogs- Lived until I was 15 or so. Yes, they do shed a lot, but that white coat is something to look at. You did need to wash them, but that is the fun of owning a dog.